***Please select your shirt color and size from the drop-down menu, then write the child's Age and Name and color choices for personalization in the Notes to Seller box at checkout. If you want the exact style as shown, just write your letter choice in the Notes and I will make your set exactly as the example photo is shown. *** If you want color changes, please describe your changes in the Notes to Seller box. 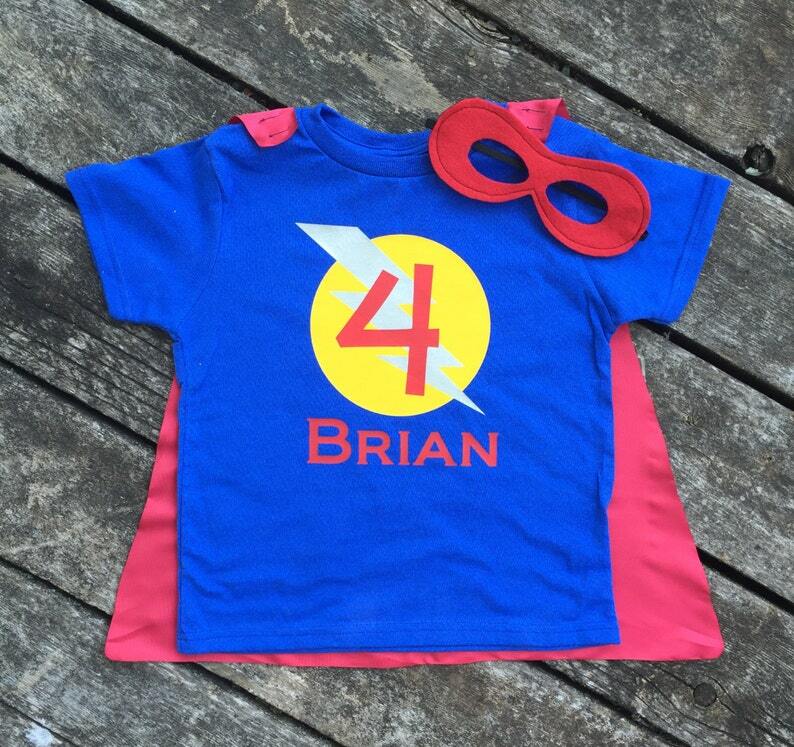 Red Shirt with Red "4"
Royal Blue Cape with Blue "4"
T-Shirt is Machine Washable. 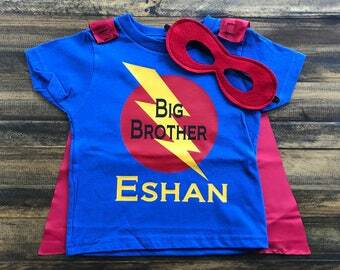 Detachable Cape is Not Washable, only wipe clean with damp cloth. Please Note: Logo material is commercial grade vinyl, design is the property of Just Kid'n! Designs LLC, T-Shirt vinyl is applied with a professional grade heat-press. Detach Cape. Wash T-Shirt in cold water on a gentle cycle, tumble dry low heat to best maintain the quality of logo. Cape is not machine washable. My son is a superhero for Halloween 2K17😊💙 He stayed in character at the trunk or treat event I took him to. The shirt is a great fit and the cape is just right plus the mask fits good. 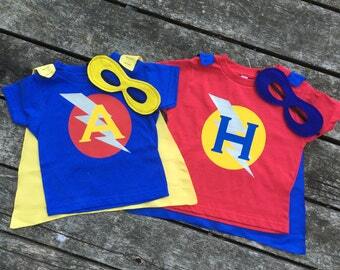 The outfit was absolutely perfect for my three-year-old's superhero themed train ride excursion for his birthday. Excellent customer service and super fast turnaround.